Daytona 500 winner Trevor Bayne certainly wasn't expecting this: he has been diagnosed with multiple sclerosis. But Bayne says that extensive testing at the Mayo Clinic has led doctors and NASCAR officials to okay his continued racing. Bayne, who was just 20 when he won the 2011 Daytona classic in the Wood brothers Ford, is to run in this weekend's Sprint Cup and Nationwide events at Homestead-Miami Speedway. And he plans to run the full Nationwide tour next season. He's sixth in the standings going into the final race of the season. He is also expected to run again a partial Cup schedule. Bayne, in a brief statement, says "I've never been more driven to compete. "My goals are the same as they've been since I started racing. I want to compete at the highest level and I want to win races and championships. "I am in the best shape I've ever been in and I feel good. There are currently no symptoms, and I'm committed to continuing to take the best care of my body as possible. I will continue to trust in God daily and know that His plan for me is what is best. "I have a great team, a great family and great people all around me. I have been truly blessed in life and I look forward to what my future holds." 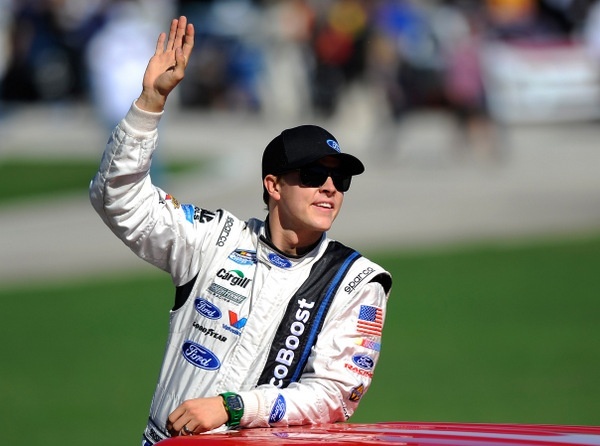 Bayne was sidelined for several weeks right after winning Daytona, with fatigue, nausea and vision problems. He underwent extensive testing at the Mayo Clinic, including a spinal tap; no definitive results were released. Jack Roush, the Ford team owner who is Bayne's boss, says he is "100 percent supportive of Trevor and his ability to compete in a race car. "I have full confidence in Trevor, and his partners have all expressed that same confidence and support. We look forward to standing behind Trevor and providing him with all of the tools he needs as he continues to develop in his young career." Multiple sclerosis, whose cause is unknown, is a neurological disease that can affect different parts of the body, in 'episodes,' or 'attacks,' followed by recoveries. There is no specific cure, but various treatments can manage the problems. In a press conference later Tuesday morning, Bayne said he got the diagnosis in mid-to-late summer. Right after that, he won at Iowa Speedway and got married. "We didn't want to keep everybody in the dark once we got information and got a diagnosis. 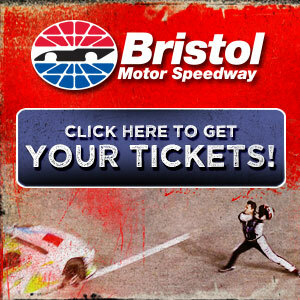 I wanted to let everybody know what's going on," Bayne said. "I feel great. I've had no symptoms, and everything's going really well. "The biggest thing we want to figure out is how to keep winning races and championships and keep this thing going." Steve Newmark, Roush's business manager, says while the diagnosis does explain the situation now, "it absolutely has no impact on the support and the way that we view Trevor going forward. He is one of our premier drivers, and we fully expect him to be competing for wins and championships well into the future. "We have a lot of respect and admiration that he wanted to come out and make this known. It was not something he had any obligation to do." After his problems in 2011, Bayne says he's returned several times to the Mayo Clinic for more tests. "Pretty much what they recommended is for me to do what a normal, healthy person should do -- work out hard, eat the right things," Bayne said. "Last year I competed in my first triathlon. I wanted to see the limitations of my body. There were 440 people there; we finished 38th…second in my age group. "I feel this was something I was given, that some people can run from or hide or be scared of. But I feel like we should take it head on and not fear it, and just go at it head on. "There are many different cases of MS that are handled completely different. It's probably one of the most inconsistent, between people. Every case is totally different. "Racing has kind of molded my life a lot. We're very competitive people, and that gives me more of a fire to be better through this. "I don't really know what I'd be doing without racing, because it's all I've ever done since I was five years old."